조선시대 기상대나 천문대인 관상감이 있던 자리에 설치한 것으로, 흔히 소간의대(小簡儀臺)나 ‘별을 관측하는 대’ 라는 뜻에서 첨성대(瞻星臺)라고 불렀다. 세종 16년(1434)에 설치된 서운관의 관측대로서, 서운관은 천문, 지리, 측후, 물시계와 관련된 일을 관장하는 곳이었다. 서운관은 조선 세조 12년(1466)에 관상감, 고종 31년(1894)에 관상소, 1907년에 측후소로 바뀌어 현대식 시설을 갖추기 시작할 때까지 업무를 수행했던 곳이다. 관천대는 다듬은 돌을 높이 4.2m, 가로 2.8m, 세로 2.5m 크기로 만들었고,그 위에 직사각형의 돌로 난간을 둘러 놓았다. 그리고 지금은 없어졌지만 원래는 대 위로 올라가는 돌계단이 있었다. 경주에 있는 신라의 첨성대, 개성 만월대의 고려 첨성대, 서울 창경궁 내의 관천대와 더불어 우리나라 천문 관측역사의 발전을 연구하는데 귀중한 자료이다. 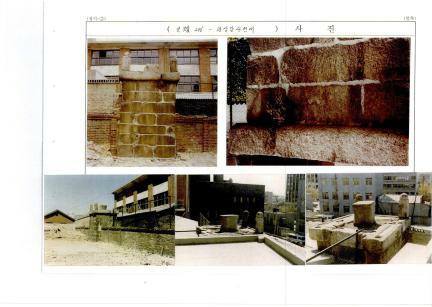 A gwancheondae was a Joseon-era observatory usually set up inside Gwansanggam (Bureau of Astronomy). It was also referred to as soganuidae or cheomseongdae. 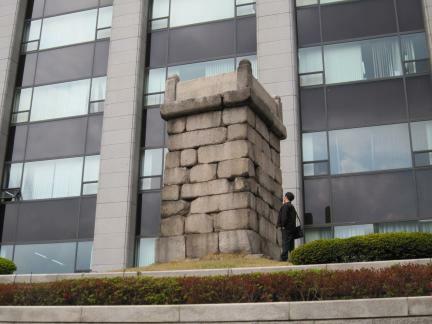 This observatory was set up in 1434 (the 16th year of King Sejong’s reign), in Seoungwan (Bureau of Astronomy). Seoungwan was an agency responsible for affairs related to astronomy, geography, meteorology and water clocks. 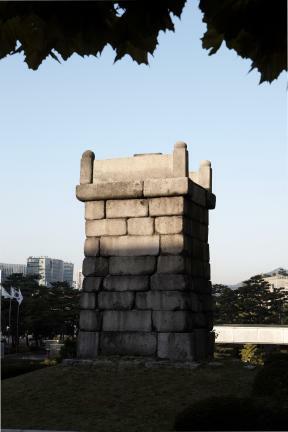 Seoungwan was renamed later, in 1466 (the 12th year of King Sejo’s reign), Gwansanggam, and again in 1894 (the 31st year of King Gojong’s reign), Gwansangso before it earned its current name Cheukhuso, in 1907. The observatory, built in hewn stone blocks, measures 4.2m in height and 2.8m by 2.5m in footprint. 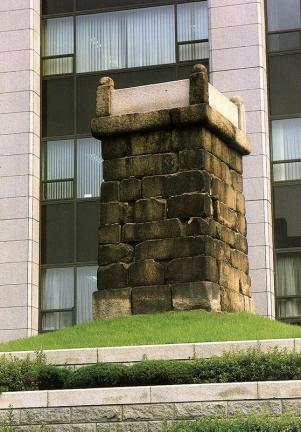 It is surrounded by a stone parapet. There used to be also stone steps leading to the entrance of the observatory, although long since vanished. Along with Cheomseongdae Observatory in Gyeongju, the Goryeo Observatory of Manwoldae in Gaeseong, and Gwancheondae Obervatory of Changgyeonggung Palace in Seoul, this observatory is considered one of the most important historic sites related to astronomical observation.